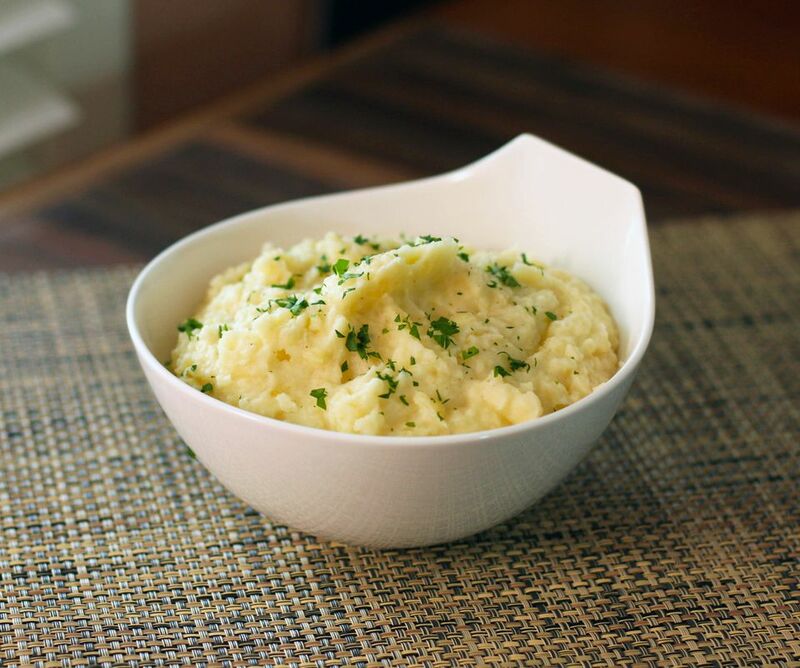 Rutabagas add amazing flavor to these mashed potatoes. The potatoes are mashed with just a small amount of butter, and you can use low-fat milk to make them lighter. Cook rutabaga and potatoes in salted water in separate saucepans. When both are tender, remove from heat. Rutabaga will take about 30 minutes, and potatoes will take about 20 to 25 minutes. Drain; purée or mash rutabaga well, then mash the potatoes. Combine mashed rutabaga and potatoes; add butter, milk, pepper, and nutmeg. Beat well. Taste and add more salt if necessary. Garnish with chopped parsley, if desired.